This article first appeared in the March 2006 issue of Update, the newsletter of Washington Romance Writers. The big day finally arrives. You type “The End” on your work-in-progress. Take the time to celebrate that success. Many people talk about writing a book, but few persevere. So, go ahead and enjoy that feeling of accomplishment. Then roll up your sleeves because it’s time to get back to work. Writing that first draft is only the beginning of having a publishable manuscript. To polish your piece you must look at your work objectively. This may sound daunting for a 100,000 word book but breaking the analysis into smaller sections works well. 1. Story movement. Whether you review one chapter or multiple chapters at a time, the first element to check for is story movement. In romance novels, both the hero and the heroine need to have goals, motivation, and conflict, and these should be internal and external. Make sure the characters change and grow as a result of the plot events. Fine-tune the pacing and heighten the tension. 2. Story logic. After you smooth out movement inconsistencies, examine your story logic within each scene. Verify that the events you’ve written about make sense. Can your hero really catch a galloping horse when he’s on foot? Did the objects in the scene stay put or move about as you wanted them to? Is your heroine furious about being slighted or is she merely irritated? 3. Setting. A mistake many beginning writers make is in impersonally describing the setting. Instead, have your POV character react to the setting. Let the wind blow through her hair and the giant raindrops pelt against her skin. Write your setting as a sensory experience and you will hook your reader. 4. Narrative. Writers want to tell all, to let readers see how intimately we know our characters. But narrative can be overdone. Take a harsh look at your narrative passages. Is there anything that can be moved into dialogue and action? Can your narrative sections be condensed? Make it so. Study published books in your target market. If the balance of narrative-to-dialogue in your book isn’t the same, make those adjustments. 5. Dialogue. Your dialogue should reflect the essence of your characters. It should flow naturally without sounding stilted. A good way to check for this is to highlight the dialogue and only read the highlighted text out loud. To ensure you have a distinct voice for each character, you may choose to read one character’s dialogue at a time. Use dialect sparingly. 6. Showing. How many times have you heard “show don’t tell?” Incorporate sensory responses to the setting and emotional responses to events in an action-reaction pattern, and you won’t hear that criticism again. 7. Wordsmithing. Lastly, word choice matters. Get rid of filler words like felt, seemed, just, and really. Cull overused –ly words. Use the “Find” feature of your word processing software to locate the useless words and eliminate them. Incorporate action verbs for weaker verbs. Every “was” that you can change into an active verb will add to the immediacy of your story. Check for overused character tags. If you have the hero’s eyebrows waggling on pages 1,3 and 5, we’re going to think he’s Groucho Marx. Vary what you say and how you say it. If you polish your work, it will sparkle with freshness and originality. Your voice will ring true in that elusive editorial ear. Take the time to improve that first draft. It will be time well spent. April 1-18, 2019, at Booklover's Bench. 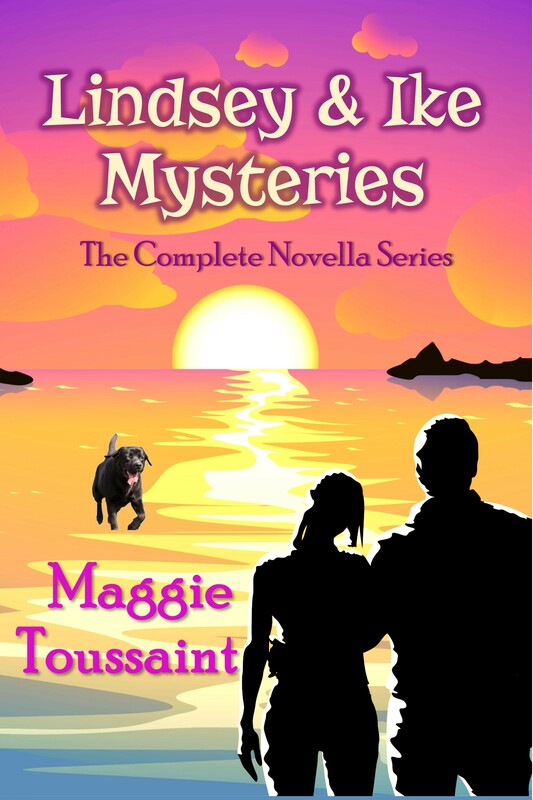 Copyright 2019 by Maggie Toussaint. All rights reserved.